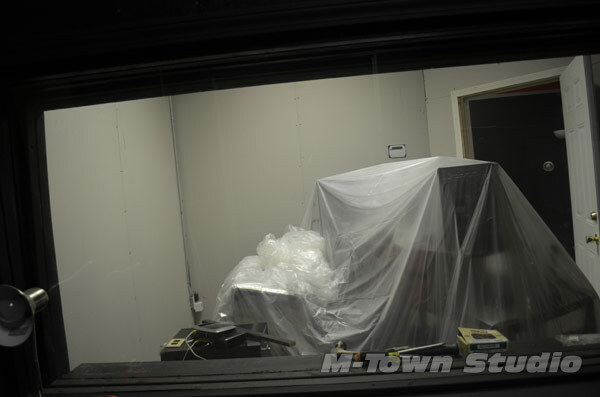 Compared to where we started, the control room has come a long way. At first it had nothing but QuietBrace insulation fiberboard, half warped plywood on the floor, missing tiles and more. 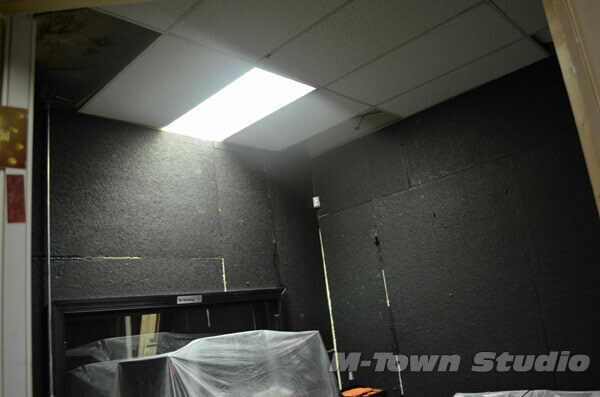 Now it has sheetrock, a new paint job, carpet, wall paneling, etc. 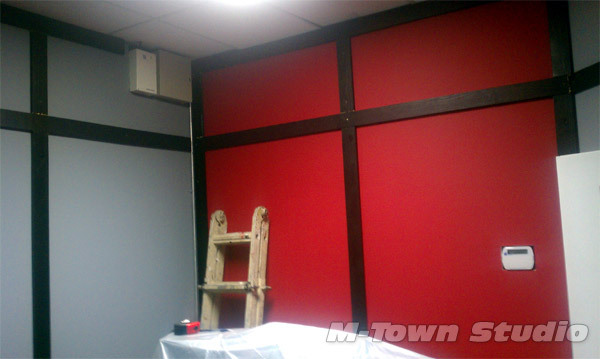 M-Town Studio control room finished with new sheetrock, paint and panels. 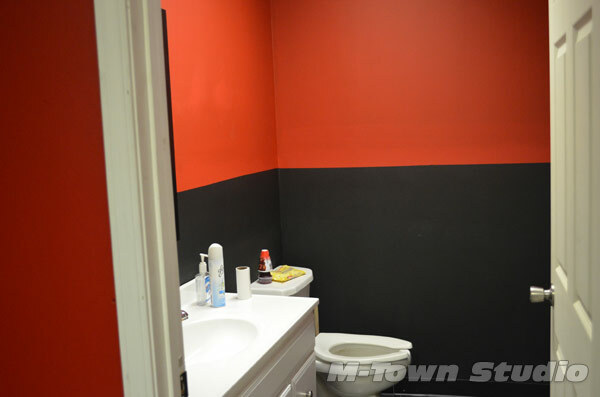 M-Town Studio restroom is complete with a fresh new vanity and sink, mirror, sheetrock, paint and flooring. Now you can enjoy your restroom break in comfort. 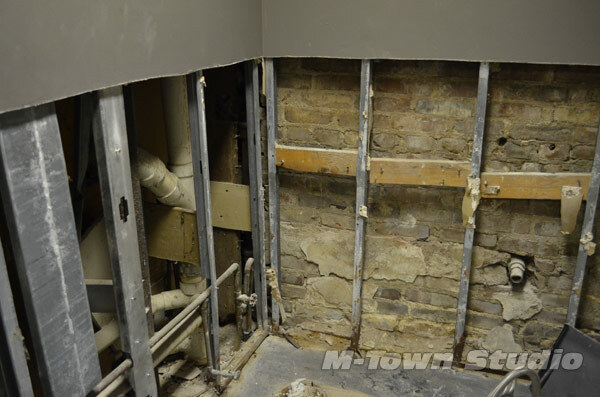 The lower portion of the walls had to be removed in the bathroom due to rotting and missing studs behind the sheetrock. The restroom was atrocious before work had started. Cracks and holes going along side the wall where the toilet is and more. We couldn’t come to grip with having you come in to take a restroom break in there, so we did something about it. 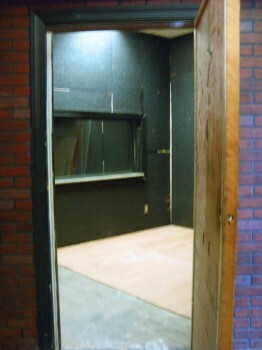 This is the studio control room before we were set to move in. 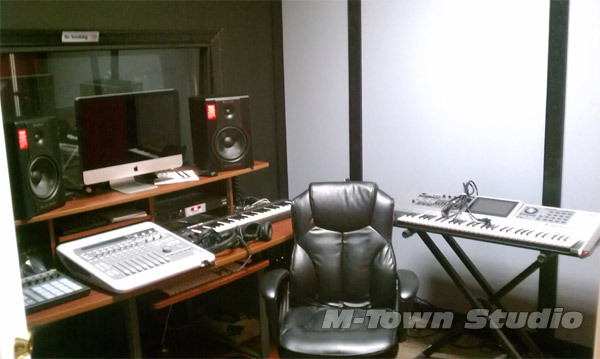 This is M-Town Studio after floor painting before we left for the day. When we had returned that night the floor was scuffed all up with paint missing. Someone had came in and walked all over our floor. So we decided to put down some carpet which can be seen in the latest photos.